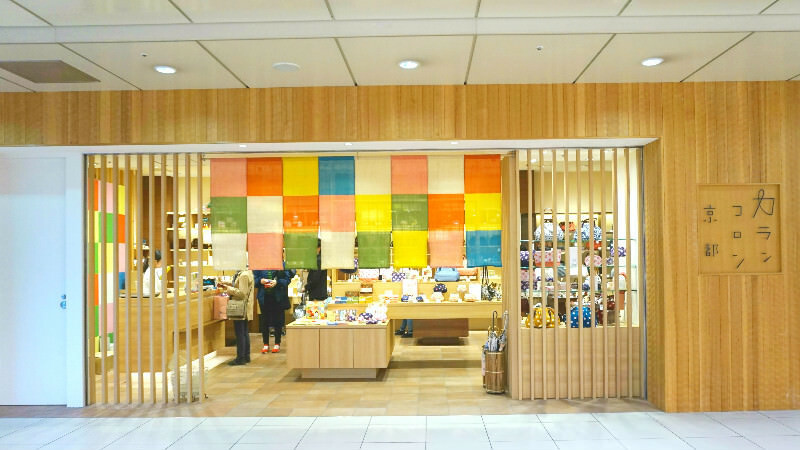 To hit the best shops in Kyoto Station, you need to read about the recommended shops of Sharing Kyoto first! Also cafes and restaurants! The transport hub of Kyoto, JR Kyoto Station. Almost everyone coming to Kyoto starts their trip from this station, which is why there are all kinds of souvenir shops at Kyoto Station. 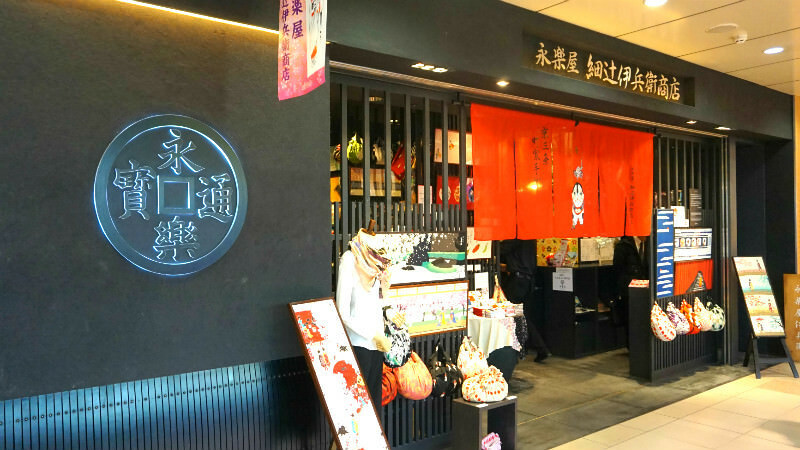 If you read this article, you will find more about the most interesting shops and cafes of Kyoto Station! 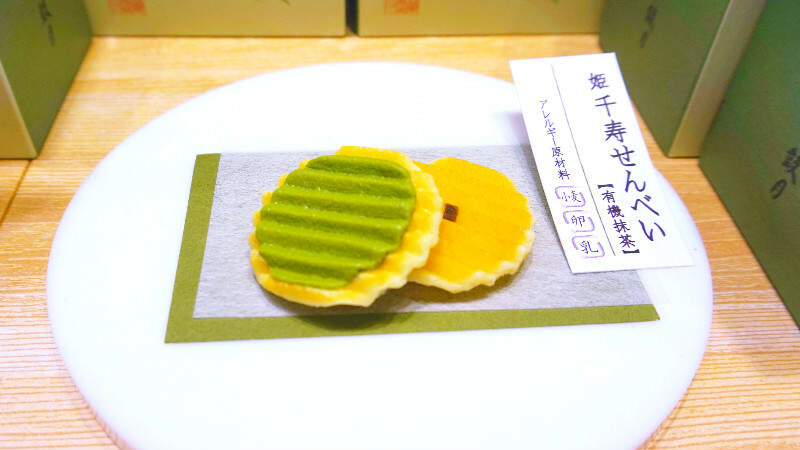 The Senju Senbei of Kogetsu is one of the classics of Kyoto souvenirs. 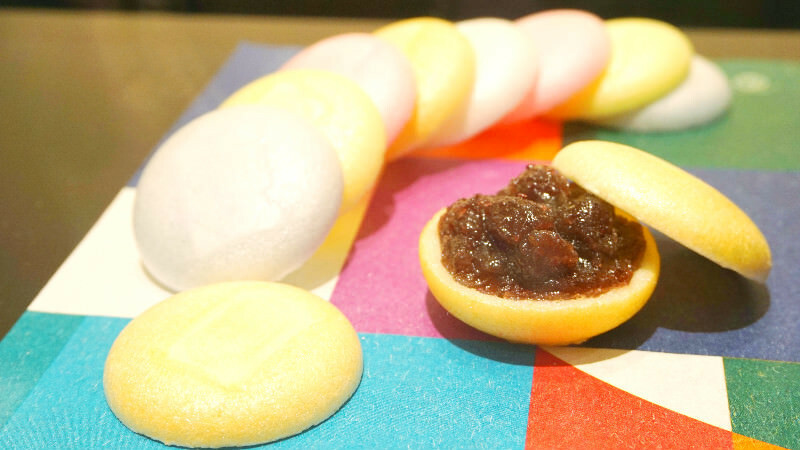 You have sugary cream inside the Senju Senbei, and the cookies sandwiching the cream are crunchy, and delicious! These cookies have a rather long best before date, so they are good as souvenirs. They are sold in the shopping center below Kyoto Station, The Cube, so you can conveniently get some before you leave Kyoto. Next, Japanese sweets store called Tsuruya Yoshinobu Irodori that is located close to the Hachijoguchi exit in Asty Road. Irodori is a new brand by the old and established Japanese sweets shop of Tsuruya Yoshinobu, and while these new products inherit the skill and techniques used in making Japanese sweets, they are a new modern take on them. Among these sweets, these amber sweets are especially popular among women. 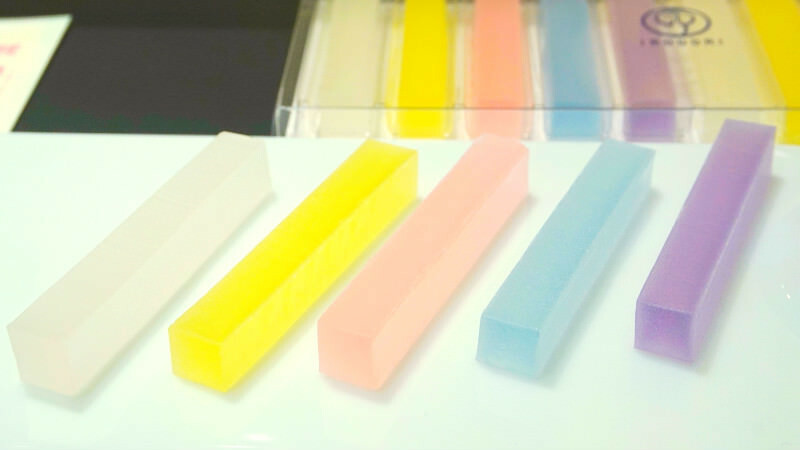 These pastel-colored sweets are delicious, and have that special Japanese sweets crunch. What is also interesting is that they have tastes like chamomile, rose, and jasmine; new tastes that would normally not be associated with Japanese sweets. 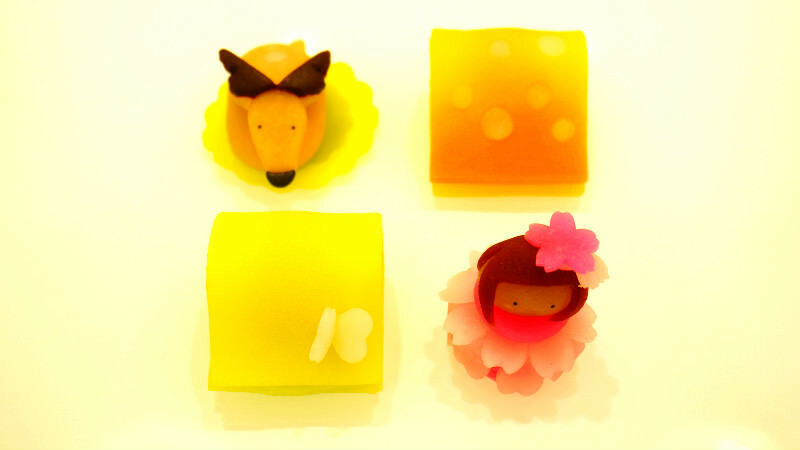 Besides the amber sweets there are also many other sweets you can only buy here at Irodori, and they are all stylish and cute! If you buy them for a woman, she is definitely going to be happy. 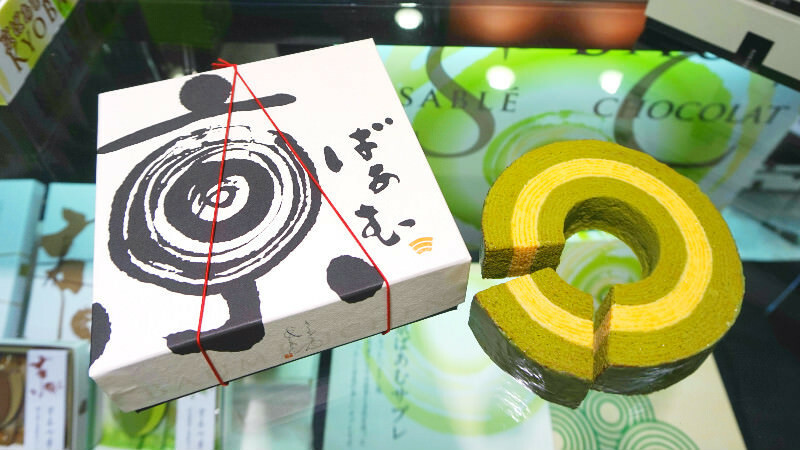 I want to also recommend this classic: the matcha baumkuchen spit cake of Otabe. 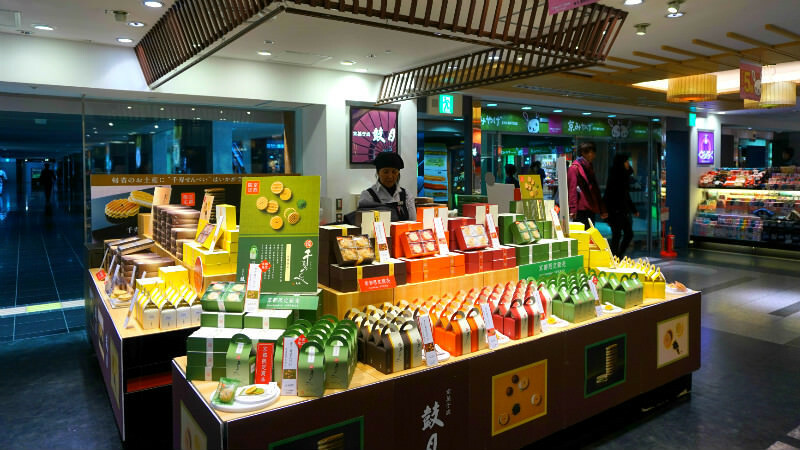 Otabe was famous for their nama yatsuhashi, the raw dough of the yatsuhashi cookies, but now it is also famous for their baumkuchen, and many other products. 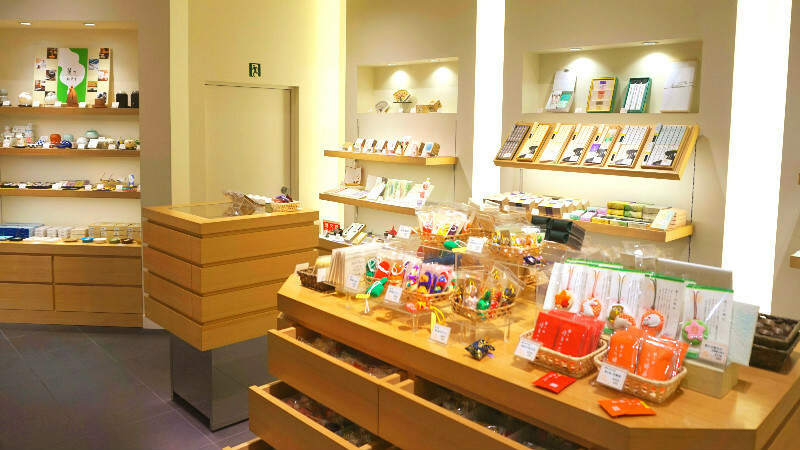 You can get all kinds of things here, so you could even finish your Kyoto souvenir shopping right here! Last I have the oh, so cute nama yatsuhashi of the popular Nikiniki! 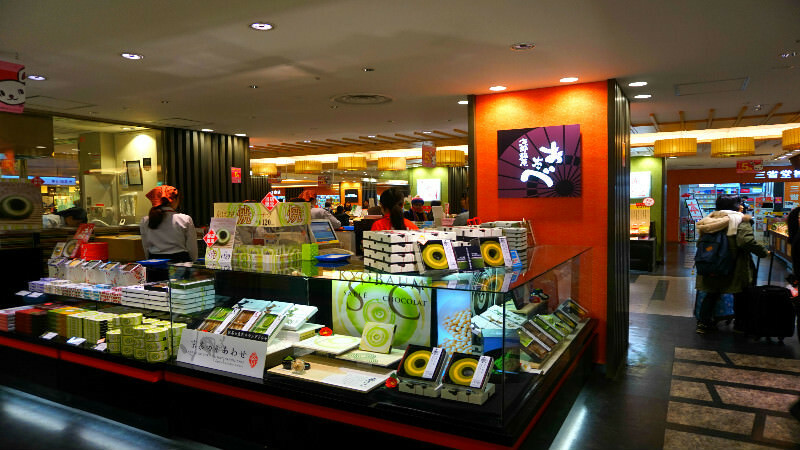 This is a brand by the old and established Shogonin Yatsuhashi Sohonten, and the designs of their sweets changes according to the season. Since the dough is raw, the sweets need to be eaten the same day they are bought. These sweets might not make good souvenirs, but they look so cute I hope you will get some and take cute pictures! 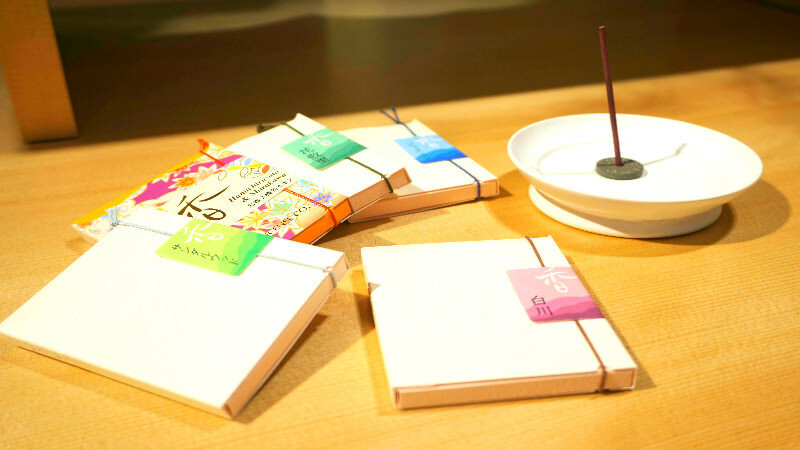 Kunkun is a new brand by the 300-year-old incense store of Shoeido. This Kunkun series was made so that people can enjoy incense more easily. 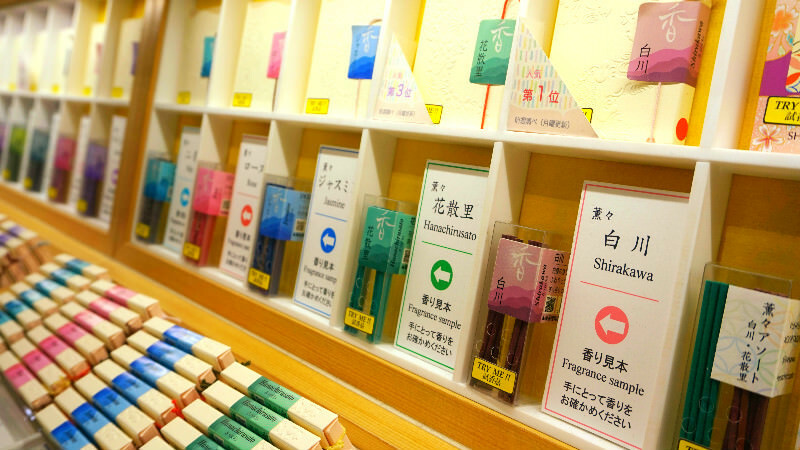 There are really many different kinds of smells, and these 7cm tall incense sticks are great for beginners too. 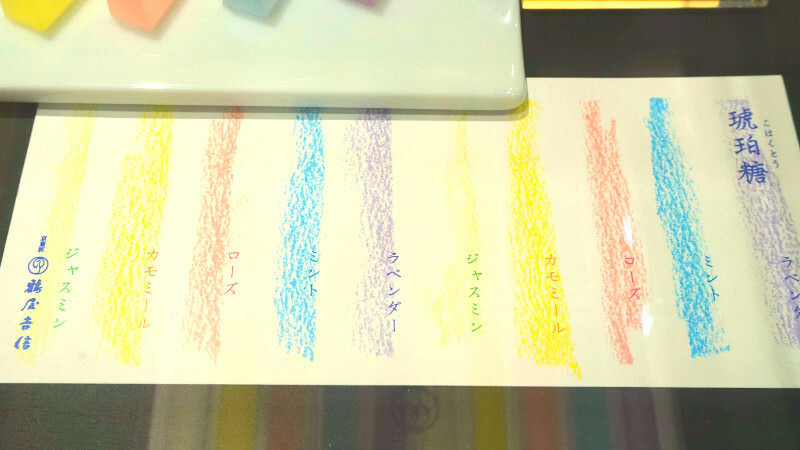 The prices are reasonable, starting at 324 yen, and they make for great souvenirs! You can also smell some testers inside the store, so I hope you will find a smell you like! I also want to recommend the tenugui of the classic of classics, Eirakuya Hosotsuji-Ihee Syoten with a history of over 400 years! 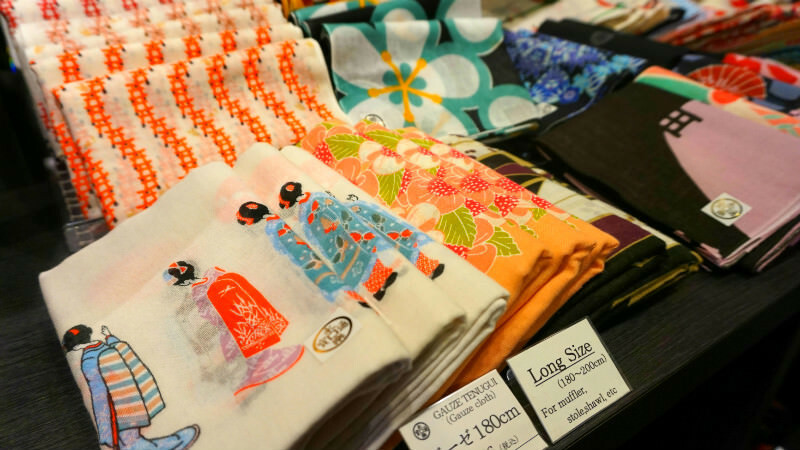 Their main products are the tenugui that use the same patterns as those 100-200 years ago. 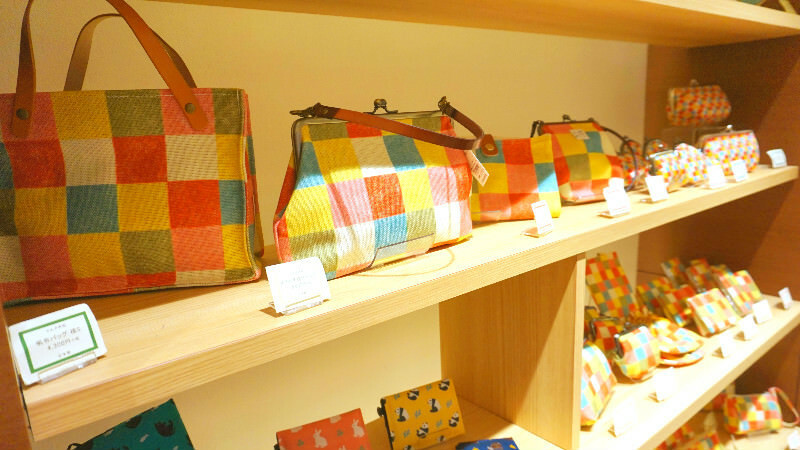 The cute Japanese designs of their products are popular home and abroad. 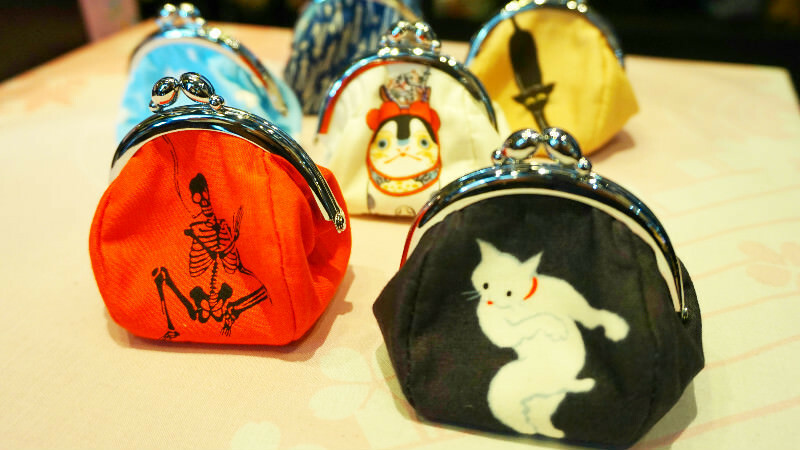 Besides the tenugui they also sell purses, furoshiki wrapping cloths, and other Japanese things. I would like to buy some for myself too. This store sells cute bags, purses, and other things with cute checkerboard patterns, and this store is my recommendation if you need to buy souvenirs for women. The products of Karancolon were born from the combination of the traditions and modernity of Kyoto, and they are not only cute and stylish but also easy to use! The small purses, bags, towels, and other products are cute, so how about buying the same thing with your friends! 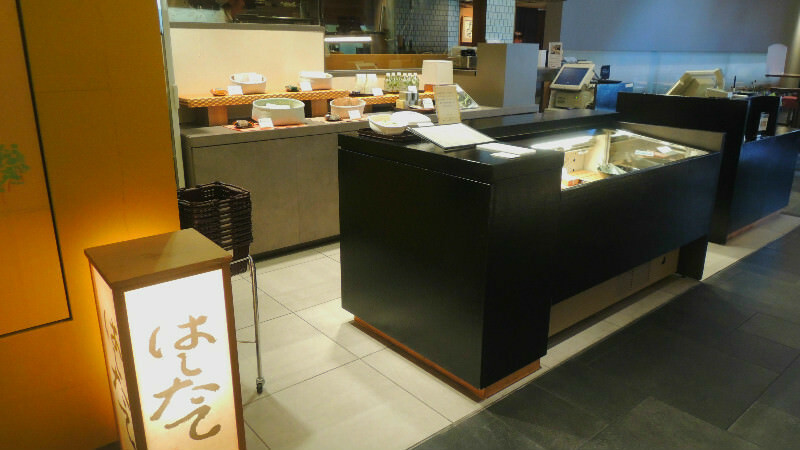 Hashitate in the department store JR Kyoto Isetan is a Kyoto-like Japanese restaurant. 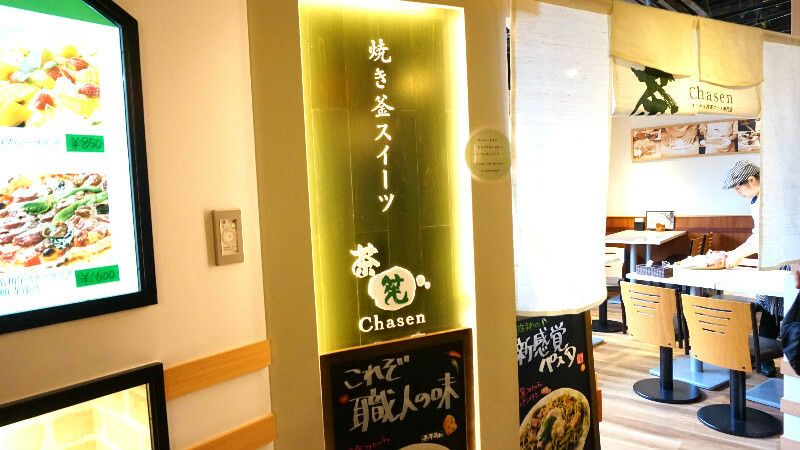 This restaurant is part of the same company as the famous kaiseki restaurant Wakuden, and offers you a chance to taste Japanese food for a more reasonable price than at kaiseki restaurants. My recommendation is this daily Hashitate rice bowl. 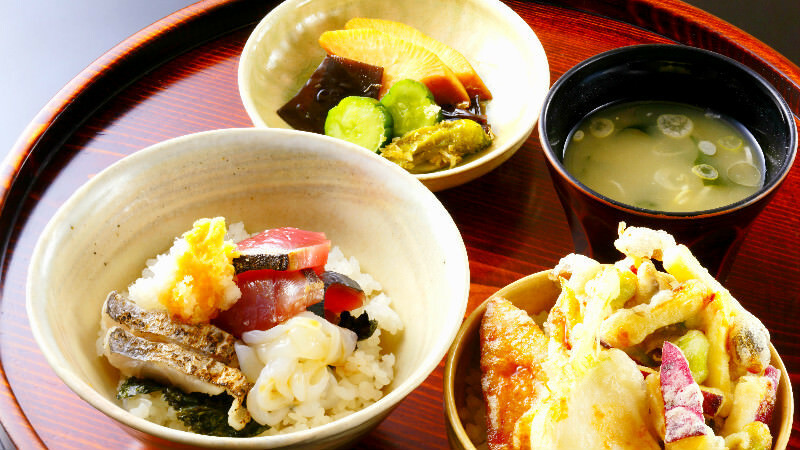 You can have two seasonal rice bowls, one with seafood, the other one of mountain vegetables and mushrooms. You may have to line to enter this restaurant, but if you go right after the restaurants opens, between 11:00 and 11:30 a.m. you should have no problems getting in. 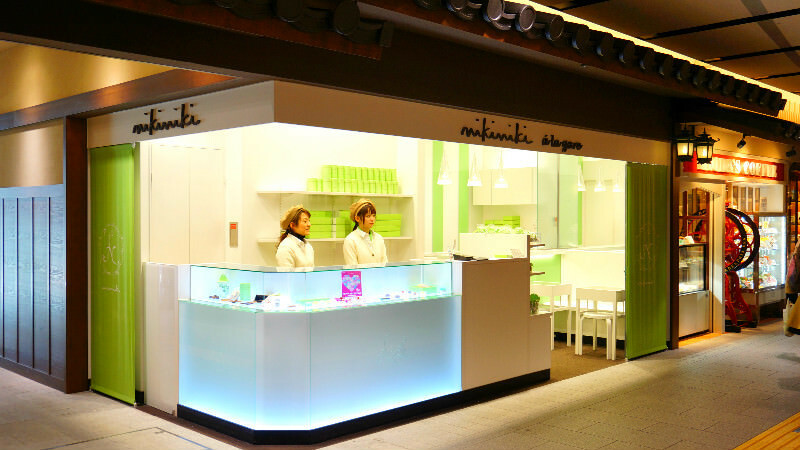 This matcha café also inside JR Kyoto Isetan department store is a place I would like to visit after a hard day of shopping. 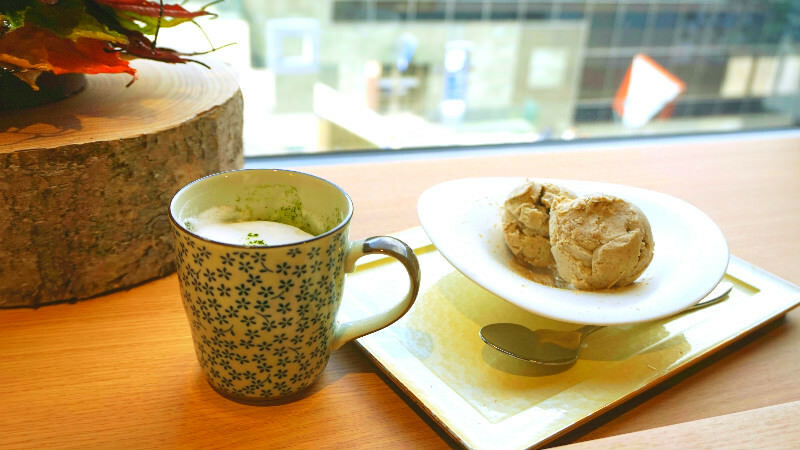 The concept of this café is “Cold, melting sweets” and they offer Kyoto-like sweets and drinks. From their counter seats, you can see the whole of Kyoto Station and relax. This café is on the 10th floor of JR Kyoto Isetan, in the Kyoto Ramen-koji, so there are not that many people here. 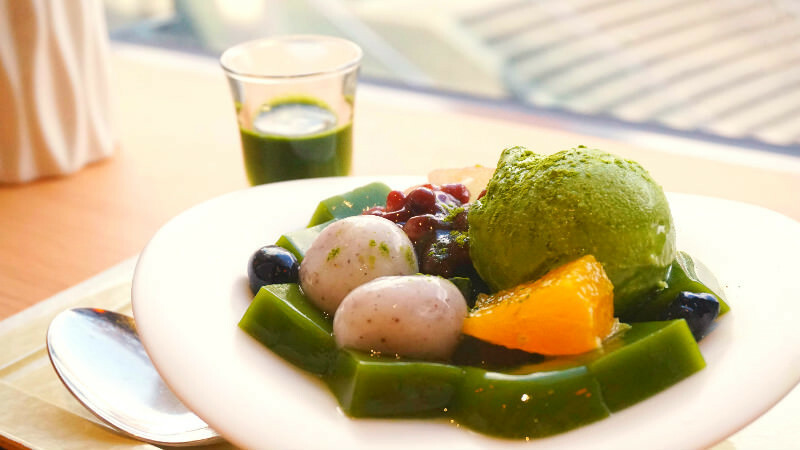 There are not many cafes where you can truly relax by Kyoto Station, but I hope you will visit Chasen and have some sweets and drinks in peace.